Michael Aaron Gallagher grew up around radio stations and often helped out at their events as a child. He eventually took to the radio airwaves for a summer internship in high school as a DJ for Z89. Since then, he has attended hundreds of concerts, enjoyed backstage passes and VIP meet-and-greets and worked with numerous contacts in the music business as an entertainment reporter. 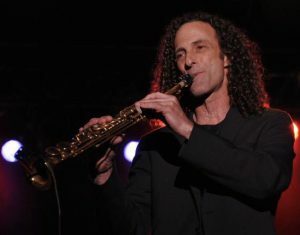 He has interviewed recording artists and musicians in pop, rock, R&B, country, jazz, and instrumental, including Grammy award-winning saxophone player Kenny G, Grammy award-winning singer Jennifer Nettles of the country music duo Sugarland, Grammy award-winning band Train (Pat Monahan), Grammy award-winning band Blues Traveler (Tad Kinchla), singer-songwriter Gavin DeGraw, classic rock band STYX (Chuck Panozzo, James “JY” Young and Ricky Phillips), classic rock band Kansas (Rich Williams), Grammy award-winning singer and actress Brandy (Drop Dead Diva), Grammy award-winning Native American singer Joanne Shenandoah, Grammy nominated singer-songwriter Sara Bareilles, Grammy award-winning lead singer Harry Wayne “KC” Casey of KC and the Sunshine Band, Grammy nominated country music singer Trace Adkins, Grammy nominated R&B legend Charlie Wilson, multi-platinum recording artist Clay Aiken, modern rock band There for Tomorrow (Maike Maile), entertainer Lance Bass (*NSYNC), boy band Mindless Behavior, country music singer Kellie Pickler (American Idol), country music vocal group Little Big Town (Phillip Sweet), country music group The Band Perry (Kimberly Perry, Reid Perry & Neil Perry), country music duo Steel Magnolia (Meghan Linsey and Joshua Scott Jones), country music singer Sunny Sweeney, country music singer Justin Moore, country music singer Chris Young, country music singer David Nail, country music singer Jake Owen, singer-songwriter Maddi Jane, singer-songwriter Tiffany Alvord, singer-songwriter Sara Skinner, musician Landon Austin, and Academy Award-nominated composer Patrick Doyle (Harry Potter and the Goblet of Fire).